Moving to Fairfield, CA is something a number of people do every year. We did some research and compiled some facts, so you don’t have to do the work. This small city is located between San Francisco and Sacramento and is a place people move to have a chance to own a home, and/or to have a family life away from larger cities. Fairfield has about 100,000 people and it is diverse. Less than half of the population is White with about 27% Hispanics, 16% African-Americans, 15% Asians, and then a very small percentage of Native Americans and Pacific Islanders. The median home value is about $386,000 and the average rent is approximately $1670. Close to $400,000 is a big chunk of change, but if you look carefully you might find some small homes in the low 300s. There also may be some condos in the area for less than that, and there are some mobile homes. For renters, you can probably find a one-bedroom for about $1100 a month, and there are shared situations for about $500-700. If you are living in San Francisco, San Jose, Oakland or LA, you might consider Fairfield if you want to find cheaper housing. Moving to Fairfield is something quite a few people may enjoy. According to Great Schools, the Fairfield public schools are rated above average. Edwards Fairfield Stadium 16 & IMAX shows mainstream movies and many of them. The Downtown Theatre presents live shows such as comedic and musical acts. Plays and occasionally ballets are performed too. There is also one Buddhist-related establishment: Wat Chaimongkol Buddhist Temple. Yes, we have a storage facility in Fairfield and we can answer your storage questions. Fairfield is located on I-80, so you can easily get on a major freeway, and there is an Amtrak station 1.7 miles away in Suisun. Of course, there is a local public bus system too. For air travel, the Sacramento Airport is closer than SFO. Lake Berryessa is 37 miles from Fairfield and this man-made lake is popular with boaters for relaxing, water skiing and wake boarding. Napa and Sonoma are even closer, and these areas have their own natural beauty. If you want to reach the Pacific Coast, you drive up about 70 miles to Bodega Bay or Jenner. Moving to Fairfield could be a good choice is you want access to less developed lands and open spaces. 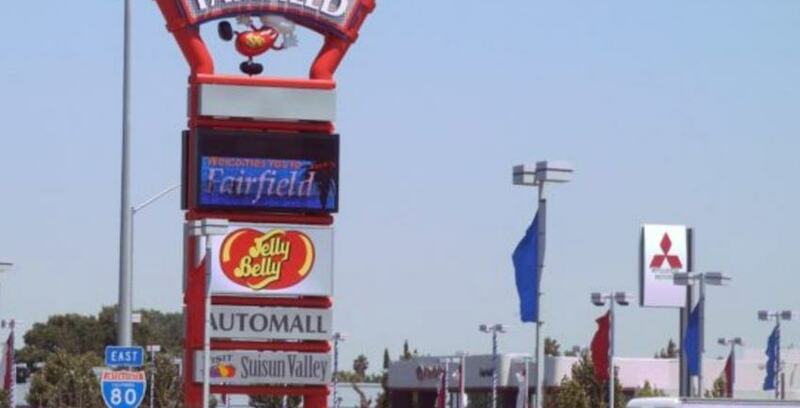 Vacaville is about 10 miles from the city of Fairfield and has a number of outlet shops where you can find some discounted items. Solano Town Center is in Fairfield, this mall is somewhat of a throwback to the 80s standard two-level structure with the typical shops like Macy’s and JCPenny. So, after reading this information are you still interested in moving to Fairfield?